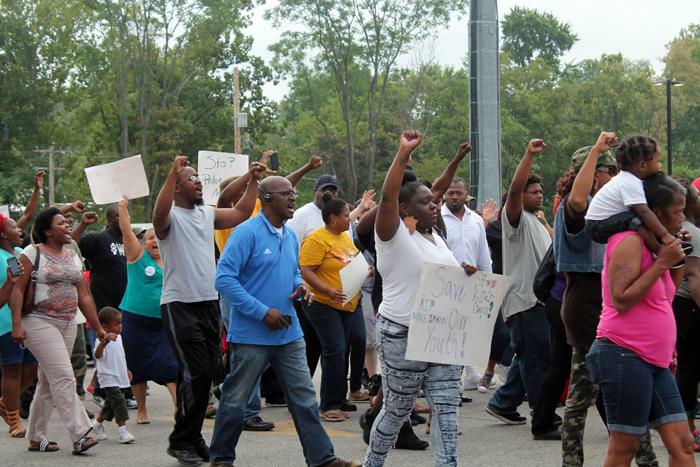 Discussion: What's Next For Ferguson After The Death Of Michael Brown? A memorial has formed at the site where 18-year-old Michael Brown was shot Saturday. Saturday's shooting death of Michael Brown in Ferguson resulted in overnight violence, including looting, arson and gunshots. As cleanup began Monday morning, so did discussions about the tension throughout the St. Louis area, the response in Ferguson, and the lack of information about Saturday’s shooting. "St. Louis on the Air": A discussion about turmoil in Ferguson with Lewis Reed, Maria Chappelle-Nadal, James Knowles III and Dennis Ferguson. “There should be no need anywhere for a young man to lose his life,” said Ferguson Mayor James Knowles III. “We need to start talking about bridging the gap between law enforcement and the young people in the community. Several businesses were looted Sunday night, including Zisser Tire and Auto on Florissant Avenue in Dellwood. Windows were shattered, and tires and rims were stolen from the showroom. Ferguson said some neighbors learned of the looting, went into the tire shop and picked up car keys and other items of value, and returned them Monday morning. He said those actions renewed his faith in the community. “We have no plans to leave the area,” Dennis Ferguson said. Rumors continue to circulate about Brown, about the shooting and about law enforcement called in to deal with the tension and turmoil in Ferguson. St. Louis Board of Aldermen President Lewis Reed said those rumors are spreading because there is a lack of information. The Ferguson Police Department turned the investigation over to the St. Louis County Police Department on Saturday. Since then, the St. Louis County Police Department has organized a few news conferences, but little information has been revealed. State Sen. Maria Chappelle-Nadal stressed the need for an open investigation. Gov. Jay Nixon tweeted on Monday that he has asked the Department of Justice to conduct an investigation as well. “They’ve asked him that because we’re fearful of two things,” Knowles said. “Number one, that his coming may incite more people to congregate, and congregating again will probably lead to people infiltrating a peaceful demonstration for some sort of subversive activity. Chappelle-Nadal said Sharpton likely will not connect with younger residents. “We need to begin to deliver a unified message — whoever it is, it doesn’t matter who delivers the message. It’s the message that we are looking for,” he said. 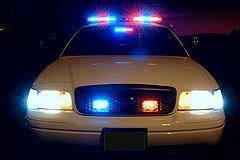 How is the police-community turmoil in Ferguson affecting you? Please respond through our Public Insight Network. The St. Louis Public Radio uses this journalism tool to help us solicit knowledge and insight from people who become sources through the Network. Click here to share your experience. Updated at 7 a.m. Monday The situation in Ferguson has settled down following a night of destruction. There is no more systematic looting, but small groups are still casing stores, according to St. Louis County Police spokesman Brian Schellman. "When it happened, it happened very quickly." Around 300 officers were involved in the response as the violence spread quickly into nearby communities including Jennings and possibly Dellwood. It could turn out to be one of the most violent nights in recent St. Louis history. "I've been a policeman for 12 years, all with the St. This is a fast moving story and we will update here when we can give a more complete picture about what we know. For the latest real-time updates follow our reporter Rachel Lippmann on Twitter @rlippmann. Amid a second day of protests, St. Louis County Police Chief Jon Belmar gave the first details from his department’s investigation into the fatal shooting Saturday of 18-year-old Mike Brown by an unidentified Ferguson police officer outside the Canfield Green Apartment complex.